What is Benefits Administration in HR? The process of assembling and managing of employee benefits in an organization or the company is defined as benefits administration. It acts as one of the pivotal components of HR Management software. The employee benefits are diversified and it can include benefits pertaining to health, disability, life insurance policies, post-retirement, wellness, and travel allowances, maternity or sick leaves and more. If we study in close, the major population of companies go for or opt for an HR management software is the availability benefits administration function in the system. The benefits administration functionality of an HR management system helps the HR Manager to automate the time-consuming and challenging management of employee benefits, employee enrollment, and later administration. The automatize functionality of HR system thus helps the HR manager in curbing the administrative burdens and also employee upliftment. Managing each and every kind of benefits by a sole person is not handy if the workforce is bigger in size. Here comes the role of an HR software which helps the administrator to facilitate the employee with their benefit plans and their requesting applications. The benefits administration software in an HR sector helps the HR managers to have a better insight into the employee benefits. The benefits administration software provisions with a robust dashboard giving complete insight into the benefits offerings. In further it also helps the management to seamless allocate the necessary norms and automate insurance claims via analyzing. The additional qualitative changes brought by benefits administration software is that it helps the HR Manager in suggesting various data for educating on the individual benefits, their configurations, and how an employee can best choose the exact match up plans according to their usage patterns. The benefits administration software thus saves the employee time by eliminating the need of self-researching and identifying their benefits packages. Secondly, the benefits administration applications come inclusive of mobile apps with social media user interfaces. This further helps in simplifying the whole process of open enrollments and employee self-service functions. These mobile apps with social media interfaces in benefits administration system, acts an active and intuitive platform for workers, benefitting them in large in communication transactions. Example; The health tracking devices, insurance discounts and more. You might be wondering how the process of benefits administration is carried out. The benefits administration in HR starts with the inception of analyzing what type of insurance coverage the business organization will offer to its inmates. In further, it expands its portfolio via designing the array of employer and employee-paid benefits. The benefits administration system also aligns with the master employee list containing every pertinent employee data. In short, the benefits administrator acts as a wizard tool, keeping the employees informed and educated on their benefits and retirement accounts, thereby helping the HR professional in establishing, maintaining and managing these employee benefits program in the most convenient format. 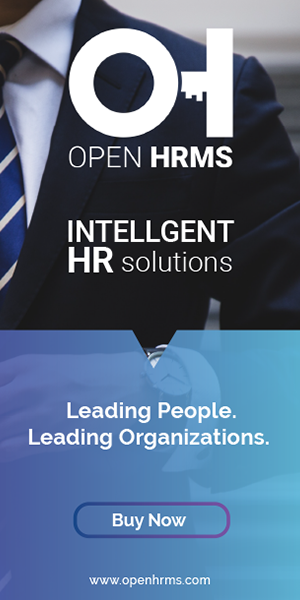 Open HRMS is an all-inclusive suite of application for human resource management in an organization. Open HRMS encompass components of benefits administration. You can refer our blog Open HRMS Employee Insurance Management Module and Open HRMS GOSI Contribution Module for understanding the benefits administration functionality in Open HRMS.